The budget proposal promises “a seamless transition to the use of future commercial capabilities,” and allocates $150 million in 2019 to encourage commercial development in low-Earth orbit. The administration proposes $900 million for this goal through 2023. If structured like earlier NASA public-private partnerships, like the ones for carrying cargo and crew to the space station, the money would be split between two or more companies. By contrast, the United States has spent close to $100 billion building and operating the International Space Station. But space experts so far do not see how that would be viable economically because NASA currently spends $3 billion to $4 billion a year. The International Space Station with the BEAM expandable module. Mr. Sanford said the federation was concerned about setting a specific end date. 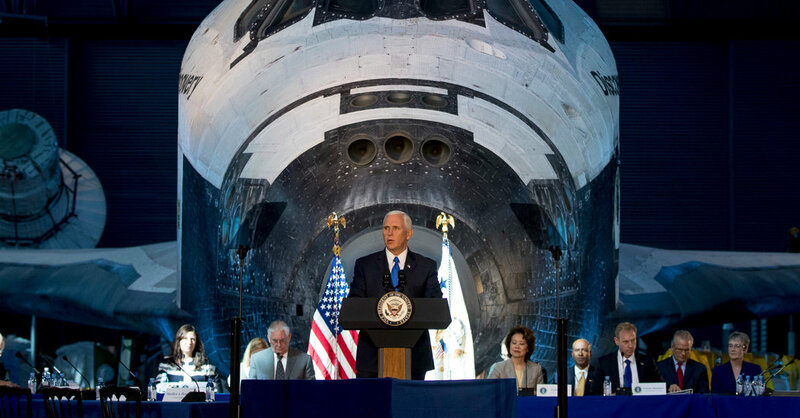 He said it would be better to define benchmarks that commercial alternatives would need to achieve before the International Space Station is retired. In recent years, more companies have started using the station in areas like pharmaceutical research and manufacturing of fiber optical cable. For a greater focus on the moon, the budget plan describes investing in commercial companies to develop and fly robotic landers to carry experiments and other payloads to the moon. Those companies could include Moon Express and Astrobotic Technology, two companies originally created to compete for a $20 million grand prize in the Google Lunar X Prize. The X Prize Foundation conceded last month that none of the remaining competitors would be able to reach the moon before the prize expires on March 31. Both companies still plan to head to the moon in the next couple of years. In addition, Blue Origin, a space company started by Jeff Bezos, the chief executive of Amazon, has proposed a larger lander called Blue Moon that could deliver several tons of cargo to the surface of the moon. Efforts to increase research and development aimed at next-generation space technologies for a range of human and robotic missions, one of the priorities of the Obama administration’s space policy, would be refocused on nearer-term development on moon missions. For astronauts, the goal is still to reach “the vicinity of the moon” in 2023. That is the current schedule for the first crewed launch of the Space Launch System, which would fly around the moon but not land. Under the proposed timeline, work on a lander would not start until that year.